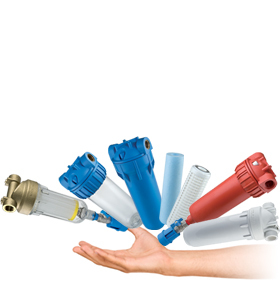 Hot water filters: filter housings that have been specifically designed to withstand high water temperatures. For cartridges dedicated to the use in hot water, with different models and heights. The hot water filters FX-AF BX are built of a brass head and stainless steel AISI 304 bowl. The Hydropul HOT are hot water cleaning filters intended to be mounted at the inlet.